AHCI - New watch alert! Very nice ,i guess second/minute hands are synced. if not DT then why the double dials? Huge Congrats , great looking FPJ . Very nice. 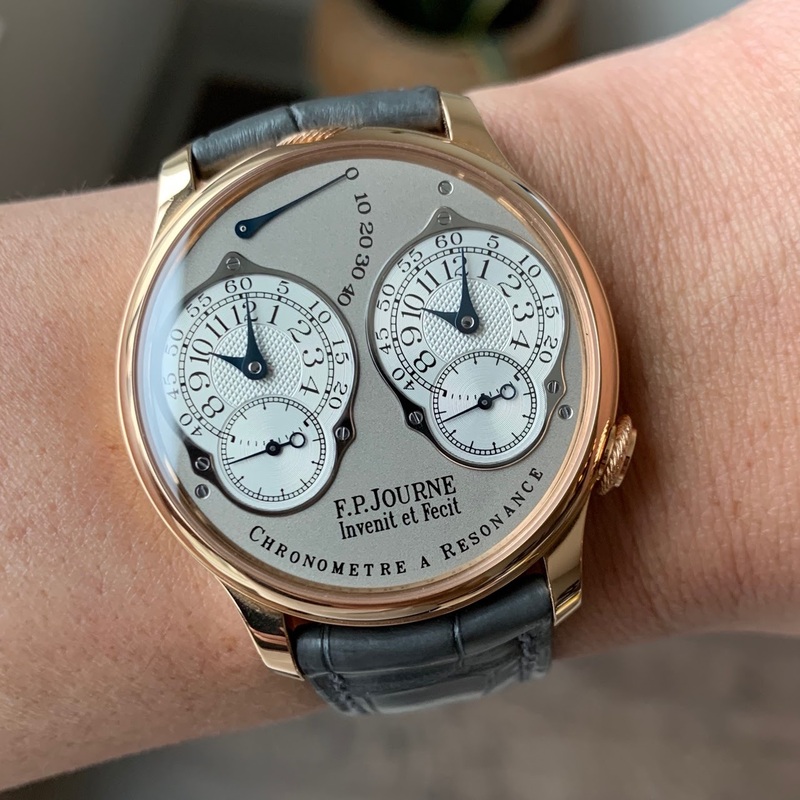 I now know why you disagreed with my "peak Journe" comment! Dial and metal combination is very nice. It really makes the gold case more subtle in my opinion. Not normally a fan of RG, but I really like this piece. Very nice combo;dial, case and strap. Never considered grey strap with RG case and WG dial. Looks very appealing.